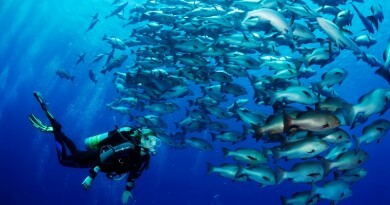 Ras Nasrani: This is the most northerly dive site on the mainland that is dived regularly. (There is another site north of this, Ras Gamilla, but this can only be dived in very calm conditions). 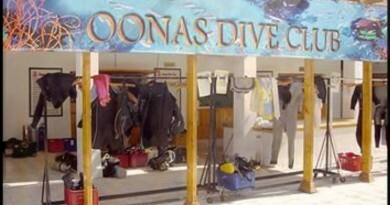 This site can be done as a drift dive or a mooring dive, depends on the currents. The location of the mooring is in the area of transition of the topography. To the south of the mooring the site is a wall dive and to the north it flattens out onto a plateau as the site goes round the corner. This is where the current can get very strong. If done as a mooring dive it is worth having a look on the plateau either at the start or the end of the dive as there are some large Gorgonia Fan corals there, but watch the current as you will have to fight it to get back to the boat. So don’t go to far that way.